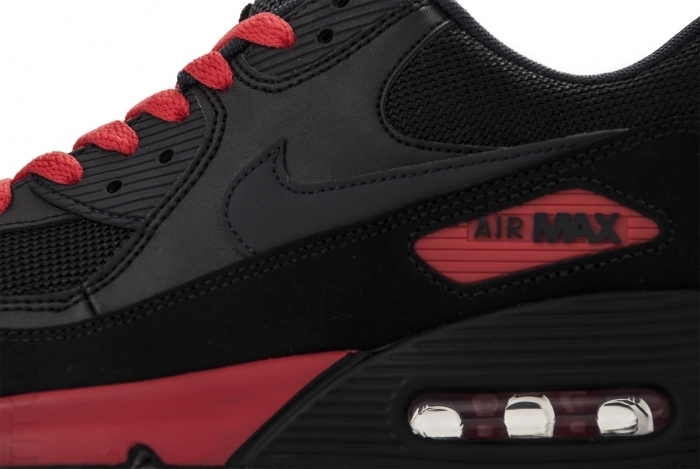 Nike Sportswear continues its string of Air Max 90 Essential releases with a new Black / Anthracite / Sunburst colorway, available now at select retailers. 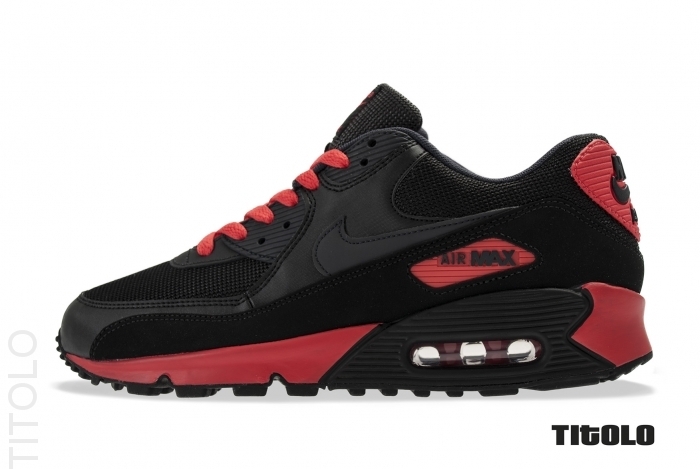 This Nike Air Max 90 Essential features a black and anthracite base, along with contrasting sunburst red accents. 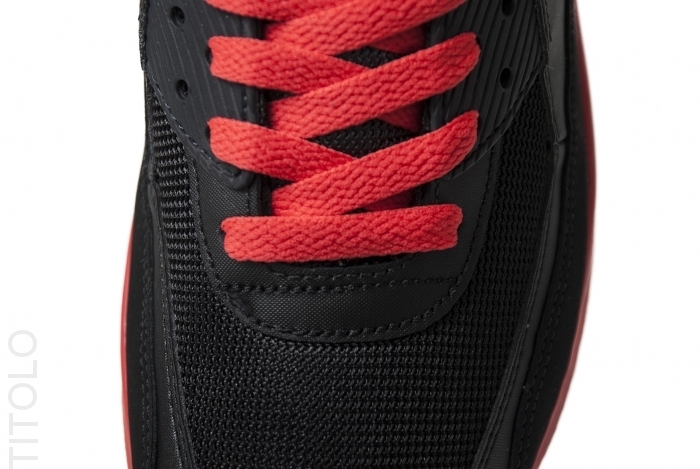 As an "Essential" release, the sneaker uses a classic leather, suede and mesh build, differentiating it from recent Engineered Mesh and Hyperfuse offerings. 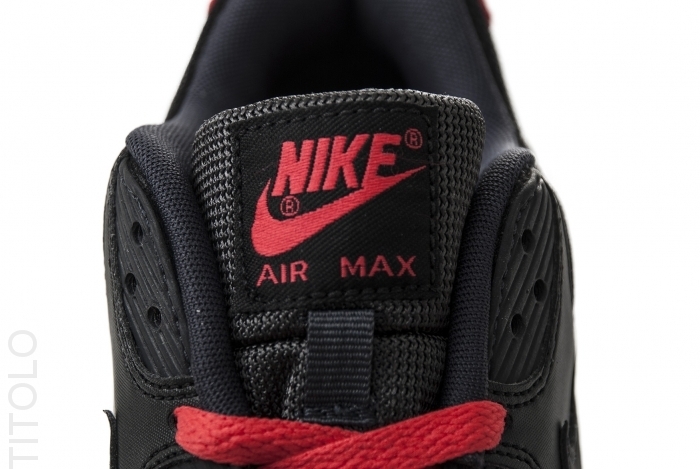 The Nike Air Max 90 in Black / Anthracite / Sunburst is available now online at Titolo.